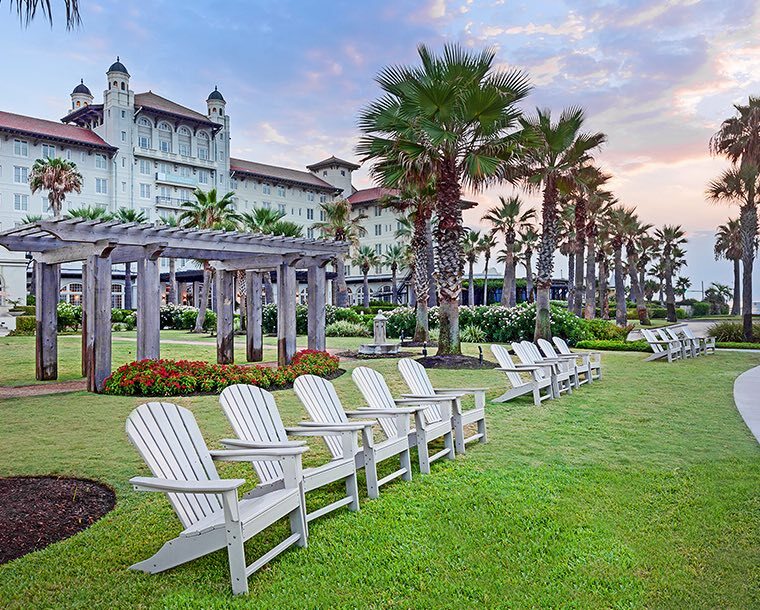 Elegantly restored and tastefully modernized to welcome guests with the utmost in Gulf Coast luxury, Hotel Galvez & Spa marries over 100 years of history with prime resort conveniences. Note: Guests must be 21 years of age to rent and occupy room. View our pet policy and pet agreement. The only historic beachfront hotel on the Gulf Coast of Texas, our fully restored property bears the name of Bernardo de Galvez, who surveyed the area in 1786. In 1900, a hurricane devastated the city, claiming 6,000 to 8,000 lives. 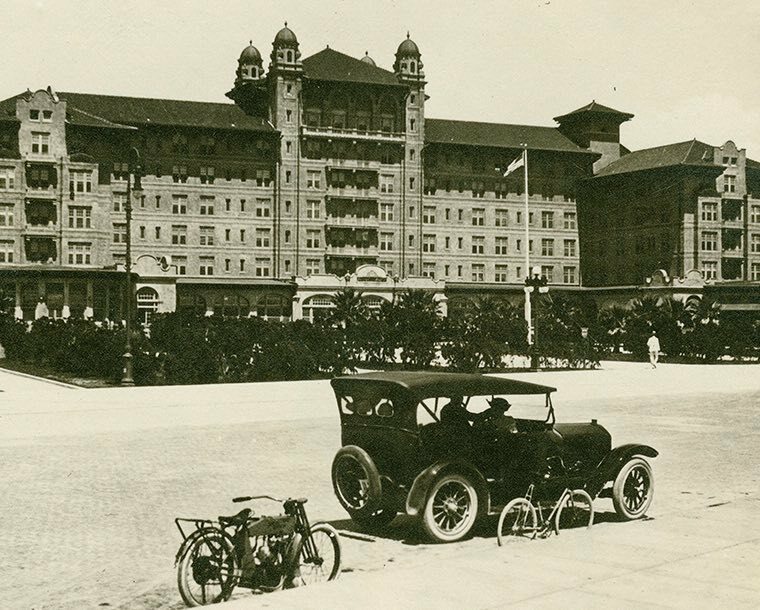 Central to the city’s rebuilding was the construction of a 17-foot seawall and causeway to the mainland, With the 1911 opening of Hotel Galvez, Galveston, Texas, was reborn as a treasured vacation destination. 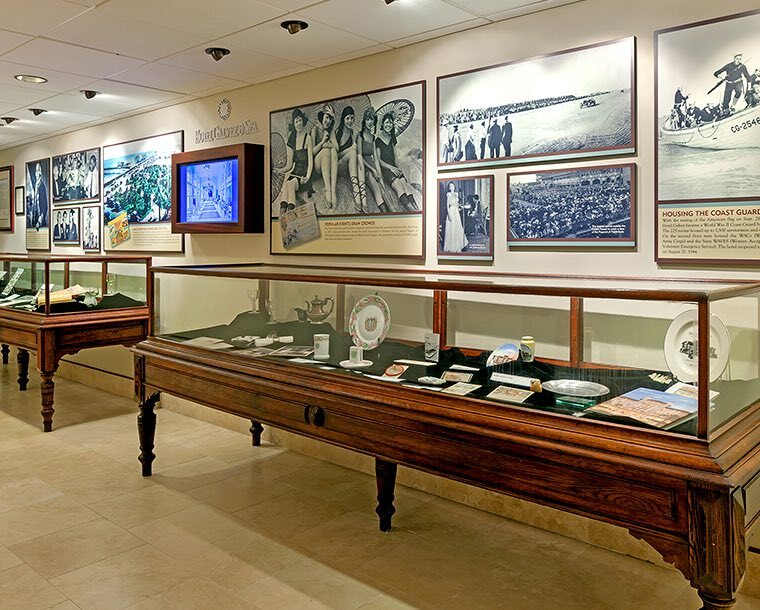 Known as “Queen of the Gulf"
Step back in time and celebrate our rich story at our Hall of History. Located on our lower level, peruse informative panels, antique plates, and precious collectibles. Also enjoy free a 25-minute audio history tour and 20-minute ghost tour with our smartphone apps. 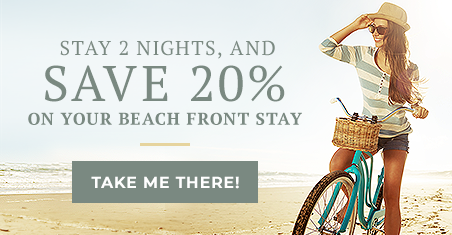 Like much of Galveston, there's more to Hotel Galvez than meets the eye. Legend has it a seaman's fiancé was staying in room 501 when she heard his ship had sunk, and took her own life. Now she haunts our halls, especially during Ghost Tours. We offer a monthly ghost tour and a dinner tour. Check with the front desk for our shorter weekly tour options.